Many people cringe at the thought of Monday: It traditionally represents the start of a new week and challenges, but it can stir up an undying hatred towards the daily grind. When you lose direction or focus, it can feel nothing short of impossible to try and find the one thing that will realign what matters most. 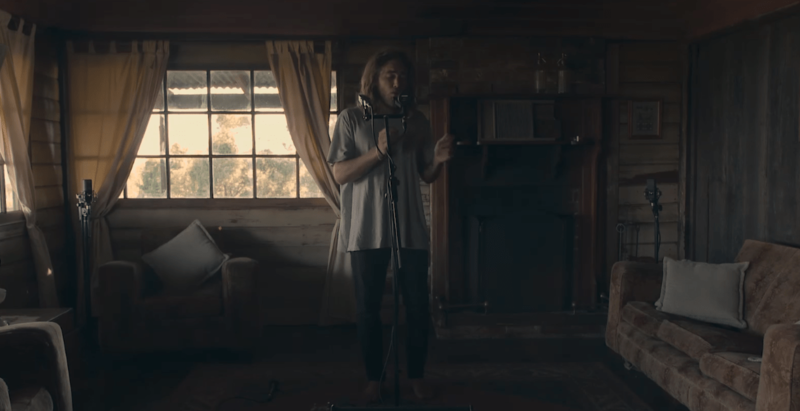 As routine as a Monday morning is, Matt Corby’s “Monday” is far from a mundane representation of that. The unembellished authenticity that Corby has managed to replicate using just his body is what conveys the purpose behind his music. The moments of revelation and relief are inflicted upon the listener as Corby makes sense of an impossible situation associated with the impact of failure. Matt Corby believes in the authenticity of his work, and strives to make his creative output one that isn’t defined by his experience on Australian Idol in 2007. Subsequently, the long awaited release of Corby’s first album Telluric has managed to gain some well-deserved attention. The hauntingly pure harmonic vocals Corby lays down at the beginning of the track signify the start of something special. From the first rustic, but oddly authentic click of the fingers, Corby has the listener hooked, and he continues to lay down a harmonic backing that seems to channel its roots within music from the Renaissance. Corby remains faithful to his signature sound, characterised by his convincing falsetto enriched with vibrato: It creates an immaculate tone that is difficult to ignore. After overcoming many personal challenges, Corby’s single “Monday” has managed convey how he came to terms with failure. After a preceding album was written and produced, Corby decided against releasing it for personal reasons. The lack of instrumentation and heavy use of harmony could reflect Corby learning to trust himself again by producing such a raw, intricate piece of art produced only from his entire being. Some will teach us what the hell our souls were born to do! Perhaps the most provocative decision, whether it was an artistically purposeful one or not, is the use of harmonic texture that mimics that of early church music, when the lyrics clearly delineate Corby’s struggle and ultimate skepticism associated with faith. This dissonance within the track between the choice of harmonic backing and lyrics creates an intricate soundscape that emphasizes the meaning of the song – not just lyrically, but also through the simplicity of notes. Failure is something you perceive, but it’s this negative perception of failure that continues to impede your life and eventually define how you approach new opportunities and fresh starts. Upon learning that failure doesn’t define what you are capable of as a human being, you can find peace in knowing that Monday doesn’t have to be dreaded or feared; it’s just another opportunity waiting to be embraced.